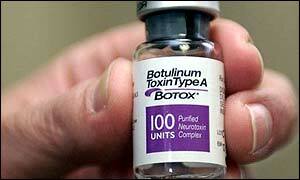 InterActiveHealth Recent Blogs Is Botox Dangerous? This is a health question that medical providers, nurses, and other individuals in medicine are asked daily. It is a complicated question with a complicated answer. Botox is one of the fastest growing areas of medicine in new patients, cosmetic advancements, and pure volume of procedures. Botox is believed to be a similar function as the fountain of youth. Certainly there are bad outcomes, but is the price worth the risk? Don’t be deceived by the belief that only women use botox, Both men and women are taking advantage of this new advancement in medical treatment. Botox is a toxin from a bacteria that produces botulinum toxin that is processed and purified. The result is a paralyzing of the injected muscles. When this toxin is injected a localized affect is anticipated and expected. But it is not uncommon to have a response to the toxin at a different location in the body. The toxin may travel through nerve roots as argued. In addition, it can be transported to other parts of the body. Often Botox should be administered by someone who has a medical license and is familiar with Botox injections. But more and more we are seeing unlicensed and unsafe concentrations of Botox being injected. Locations of Botox injections to other parts of the body than the face may be problematic as well. But Can Botox Be Dangerous? There have been reports of medical dangers when it comes to Botox. This type of treatment can be both medical and cosmetic. This area of treatment is considered a prime example of Women’s Health. The most common uses is cosmetic. Botox leads the industry in this realm. We’ve all seen the bad outcomes from overuse or mismanagement. As a medical tool it can be prescribed for several muscle disorders. This medication is helpful in those patients and often improvement in muscle spasms and muscle twitching can be seen. Botox works for about 3 months then often the symptoms return. Cosmetic use and for wrinkles is a booming demand. Almost One million Americans are currently using Botox at a cost of almost $400 million per year. Over 4 million Botox treatments are performed annually. That’s a lot of face time. Botulism is a serious consequence to the bacteria Clostridium botulinum and some overdoses and side effects of Botox injections mirror those of Botulism. Symptoms of adverse effects of Botox injections include: voice change [hoarseness], muscle weakness or strength, loss of bladder control, vision changes, drooping eyelids, difficulty swallowing, and others. “Botox addiction is the newest concern for treatment.” said Dr. Martin Kelley, a plastic surgeon at London Plastic Surgery Associates. She and Dr. Carter Singh, a psychologist at Britain’s Derbyshire Royal Infirmary, presented a study to the British Association of Aesthetic Plastic Surgeons claiming that BOTOX® has addictive qualities for some people. In that study almost 40% studied wanted additional treatment and felt compelled to maintain treatment even before their symptoms returned. Others argue that some people will never be satisfied with their physical image and that an psychological attachment o addiction is not what is being observed. In a paper back in 2005 in the Journal of American Academy of Dermatology reports that 28 deaths from 1989 to 2003 were linked to Botox injections though none of the deaths were by patients or individuals using Botox for Cosmetic use. In February of 2008, the FDA reported that they had found some link with adverse reactions including death and Respiratory Failure by those using a wide variety of concentrations and dosages of Botox. There appears to be little risk with Botox if it is used appropriately and when administered by a licensed and competent medical provider. When steps are taken to increase dosing and concentration then the risk of abnormal outcomes appears to increase dramatically. Though any adverse media or news articles on Botox does not appear to have limited or decreased its use, more concern is being noticed by the main stream public. Addiction or no addiction, Botox has helped many improve their own physical looks. It depends on what you are willing to do to look several years younger. 8 Responses to Is Botox Dangerous? I’ve seen patients and people I know with real bad outcomes. Most of these tried a, no-so-real, way to sneak some treatment. They ended up really getting burned. Well rather…frozen face. I must admit. Botox is one of my guilty pleasures. I don’t feel bad by it. I am getting older and my daughter actually came with me for my first treatment. I now go twice a year. It works out really well. My doc is fabulous. I love her so much. She talks to me and listens. She knows some of the problems I am having. As far as any danger. I see very little. My doc takes the time and has been doing it for years. She has a lot of experience. I want to look the best I can and see nothing wrong with it. I have cervical dystonia, and Botox treatments have worked wonders for me. I’m able to enjoy life without pain, or the embarrassment of people looking at me while my neck is twiching or spasming. I was administered Botox about 12 years ago for an anxiety based vocal problem, and after being given the injections by a Harvard University trained physician, I could neither talk nor communicate. I don’t respect physicians who use chemicals or trial medications for medical conditions as an “off brand use”. No one should use Botox, ever. Botulism is a disease that is found in the hooves and knees of farm animals : cows, goats, or sometimes sheep. Go back to the farm, and don’t touch my slender throat with any needle. Please. We should be away such things and Botox looking to much dangerous and harmful for our life and it symptoms looking horrible it will beneficial in limited time but its side effect we cant remove. Botox is not for normal people. I mean, it is totally overused. And those who do use it for a long time…look completely worse than before. I know that the article said there are some medical uses for Botox. But really, its just for those who think they can become prettier than the rest of us. It is amazing how beauty obsessed men and women are in the vacant world of acting and entertainment. If the following celebrities were all hit by a large truck and NEVER returned to acting or singing I would be happy: Kelly Ripa, Angelina Jolie, Courtney Love, Bruce Jenner, Brad Pitt, and all of those other fake people. If a Man or Woman changes the body or facial characteristics of their initial conception, they will be somebody else. Many actors and fashion models were less attractive than goats in a barnyard when they were born. But some people have true beauty. I respect people who are just normal.